The bulk of the attention on Tesla (s TSLA) recently has been squarely centered on the trees: Tesla’s quarterly earnings, its stock dive and weekly volatility, the three accidents that have led to fires. But don’t forget the forest: Tesla’s Model S has been a big success, and it’s part of a long term evolution that will allow Tesla to eventually deliver its third-generation, mainstream electric car. Finding success with that monumental project will be even more difficult than it was with the Model S, yet it will be even more of a revolutionary step toward moving the world off of gasoline-powered cars. Think about it this way — the success of the Model S is like when the San Francisco Giants came back from a losing streak and won three division series games in a row to beat the Reds in the 2012. It was jaw-dropping, exciting and the Giants survived that all-odds-against-them series and got to go onto the World Series. Success with the third generation design and manufacturing could be like when the Giants won the World Series in 2012. 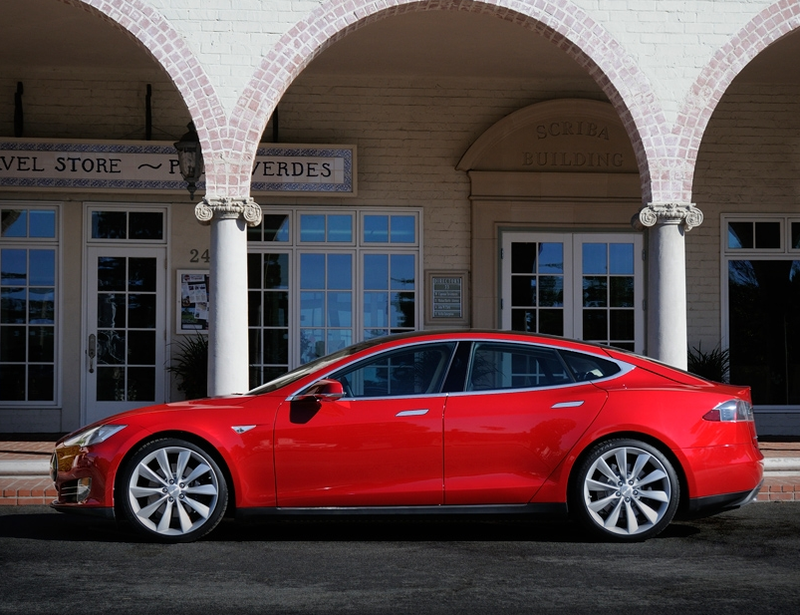 Tesla’s Model S car has been called the best ever tested by Consumer Reports, was declared best car of the year in 2013 by Motor Trend, and also received the safest rating possible by the National Highway Traffic Safety Administration. Getting more Model S cars on the roads has only been constrained by Tesla’s modest supply chain (21,500 by the end of this year), not by its larger demand from the market. Because of the success of the Model S, Tesla has been able to hit short-term profitability for the first time. It was also able to pay back its controversial Department of Energy loan early and has been able to bring in cash to help open up a wave of stores across the globe (the latest in London), as well as put money into R&D and expansion. 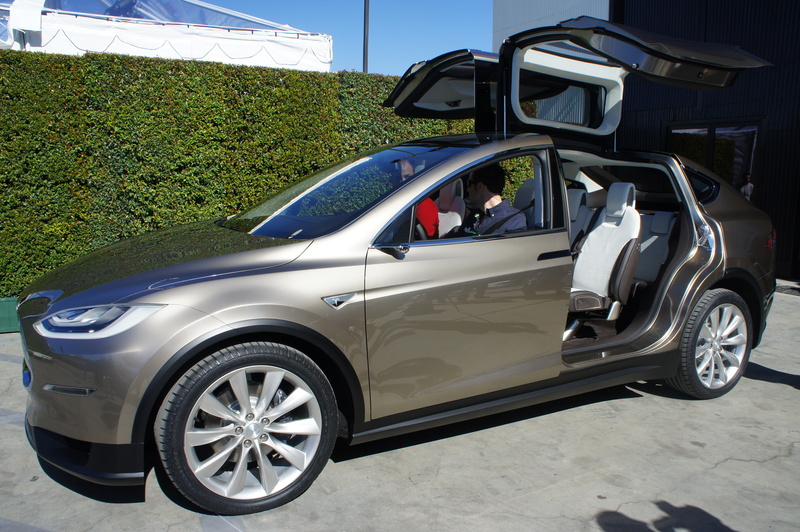 The Model S has been the key reason why Tesla has been able to transform itself from a niche automaker that produced ultra high-end — essentially handmade — electric sports cars, into a slightly more mainstream auto company, one that has several products and an automated factory in Fremont, Calif.
Tesla’s Model X — which is a crossover SUV and will start shipping in late 2014 — is an extension of the Model S tech. The Model X will use the Model S platform — the power train and flat battery pack — but will have a different body, one that has Tesla’s falcon wing doors and seats seven. The Model X is said to use 60 percent of the same parts as the Model S.
The Model X is ultimately a way that Tesla can economically build another product before it spends a couple more years designing the third-gen car. Tesla is only spending modestly now on R&D — $56.3 million for the latest quarter, which is less than last year during that quarter — as the core tech for the Model X has already been defined. While the Model S has been a game changer for Tesla, and the Model X could be a big seller too, its third-generation car will be a monumental leap that the company will have to make to move to the next level. The “Gen-III” project — as Tesla calls it — will be risky, expensive and difficult. The third-gen car is supposed to cost somewhere between $30,000 and $40,000, have a competitive range potentially as large as the Model S (200 miles), be a smaller and lighter car than the Model S, and even have a more expressive form factor than the streamlined Model S sedan. 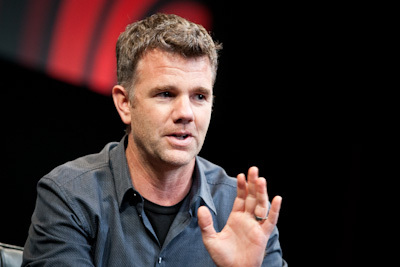 Tesla plans to build an entirely new platform for the third-gen car, Tesla’s Chief Designer Franz von Holzhausen confirmed with us last week. But the public has no idea what that will look like. What we do know is that Tesla is finally in a position to actually approach this high stakes project. Tesla’s CEO Elon Musk said on the company’s recent earnings call that starting next year, the company would start the design process for the third-gen car. The car isn’t expected to be available until potentially 2016, or 2017. Manufacturing Gen III at a scale that Tesla expects will be an entirely new situation for the company. One of the bigger hurdles for Gen III is that it will be bumping up against the world’s current supply of lithium ion batteries. Musk said on the most recent earnings call that to produce 500,000 Gen IIIs per year, Tesla would need to build a “giga factory” that would have the equivalent of all of the world’s current production of lithium ion batteries made just for Tesla in one factory. So essentially to hit Tesla’s goals for Gen III, the world will have to double the production of lithium ion batteries. If one product really manages to change the world’s resource supply to such a degree, it will be a sign of how Tesla stands alone. It also shows just how aggressive Tesla will have to be to reach its goal of making a mass market electric car. If Tesla does eventually get there over the next three to four years, it will have done what no other company on the planet has been able to do: bring the electric car to the masses, and potentially shift a sizable chunk of the world’s transportation off of oil. Why all the fuss about the current “coal-fired electrics”? Even when US energy balance takes us to “nat-gas-fired electrics”, what’s so great about that? Why not concentrate on directly nat-gas-fueled vehicles until battery technology is really ready? someone needs to push the paradigm, and Tesla is that company. If Tesla succeeds and proved the market is there, all other auto manufacturers will quickly jump in, which is fine. It just takes a little industry shake-up that Tesla is currently providing, to change the status quo gasoline transportation based formula. This is a much bigger issue than one company succeeding. This is an issue of long term sustainability of our current lifestyle on the planet. Hats off to Elon and Tesla for being a part of that movement. Wow, I thought “intelligent folks” read the stuff on here. All I’m reading is a bunch of comments from hopeful cheerleaders. Too bad an electric car is essentially powered by coal, since that’s what provides most of the grid energy even in the cleanest regions with the most hydro (and other renewables). Switching to an electric car today actually increases your carbon footprint! Will that change in the next few years? Um, not so much. In general, coal provides 38% of our electricity and that is down 13% in the last 10 years (source: http://insideevs.com/is-the-us-grid-really-getting-greener-for-our-electric-cars/). If you look in the NW, WA gets 70% of their power from hydro, OR gets 58% and ID gets 80% (source EIA). All this highlights one of the benefits of EVs–over time the the grid will get cleaner and an EV’s carbon footprint will go down. An ICE will always have the same carbon footprint and it will probably get a little worse as it ages. Now letâ€™s pose this question. In what way is the v8 Tesla different from a Mercedes e550, BMW 550i, or Audi s6? DIFFERENCE ? …. in twenty to fifty years you won’t be able to (1) afford the gas to run those gas dinosaurs, and (2), in fifty years, gas cars will all be in museums! Tesla as an investment? YES, I’ve done alright by Tesla, and will continue to support this terrific innovative AMERICAN company. … and you’re going to invest in Nissan and pass on Tesla …. boy you really are a babe in the woods when it comes to good investment opportunities, aren’t you? The Tesla S is cool, no question. But as an investment? Iâ€™d say no. How about as a car. Suppose we take the Tesla s and pull out the electric motor and batteries, then add back a modern v8 and gas tank. Now letâ€™s pose this question. In what way is the v8 Tesla different from a) Mercedes e550 b) bmw 550i, Audi s6? Only one, the big touch screen ipad in the dash. Thatâ€™s it. Does anyone think that any of the above three firms couldnâ€™t make an electric car? Iâ€™m going to place my bet on infinity (nissan), perhaps an electric M37 or Q.
Let’s remove the defining feature from something, then compare it to the rest of the market and declare its no different–how does that make any sense? Legacy car makers have two challenges: 1) they lack the technical IP, especially battery tech, to bring a similar car (price, range, performance) to market and 2) they cannot afford to disrupt the much more profitable gasoline care business. @Omar, your point 2) is actually what it’s all about. There’s just too much upstream investment into fossil fuel extraction, refining and distribution, and Big Car has a huge asset base to protect with their ICE core business. I can’t believe they couldn’t come up with the technical IP if they wanted, the investments by Tesla are a pittance compared to the mainstream R&D taking place every year. They just don’t want to at this moment, it’s a major conflict of interest and a headache to them. This is not the 1950-70’s anymore. The big 11 (or is it now 10) auto companies are watching closely. Each buys the others product and takes it apart to see how it ticks. Only GM had it’s head up it…er in the sand. The only IP in this niche is the software running the cpu’s in each car. Frankly Tesla’s only “secret sauce” is that they were first. Raaf’s point is correct. VW, toyota, nissan, Mercedes, Bmw will watch and come out with e-cars that will eat it alive..
Oh boy, time for Detroit to be a stop to this “nonsense”. Will there be an unholy alliance ?between Big Oil and the car industry to stop this car? Its happened before…..
No, but there may be a HOLY ALLIANCE to kick the whole electric car movement up a rung or two …. an Apple and Tesla Alliance! Come on Tim and Elon, make it happen …. Tesla made their luxury sedan a hatch, and their crossover has downright groundbreaking accessibility features. So at a minimum we should look to the Model E to be a family hatch like the Fit or Prius, but more upscale in its details. *Are* there any examples of an mid-scale wagon, that’s, you know, timelessly pretty? This’ll be tricky, but if anyone can pull it off, Tesla will. Tesla is going to change everything. The market is ripe for change as gas prices rise, and commuters realize they don’t have to pay for gas, or ridiculous manufactured failures engineered into regular cars. Electric cars are far and away a superior product, and will overtake regular cars range within the decade. Tesla is a winner. I have high hopes that they will be developing my next car. If BMW and Mercedes buyers start opting for a Tesla (especially the young, newly minted wealthy) we are indeed at the cusp of a new age in transportation. As a BMW owner, I’d have to agree with you … especially since seeing the newly introduced BMW i3. Wow, is that thing ugly or what? I agree. The recent “fires” in three Tesla cars will only make the cars better in the long run, because once a problem or even a “potential” problem is discovered, it will be engineered out, and be a non-issue going forward. Tesla will succeed, no question, because the world is waking up to what the ever increasing burning of fossil fuels is doing to the environment, and our personal health as well. The “oil burners” we all drive today, will have gone the way of the dinosaur in the next twenty five years or so. There is NO PROBLEM with the Tesla car fires. Listen to Elon talk about the percentage of car fires in gasoline cars versus electric Tesla cars. The percentages are MUCH MUCH lower per vehicles sold for the Tesla “S”. I wish you guys would know what you’re talking about before shooting off BS on these sites. Stop with the FOX TV news approach to everything … do some fact checking before! Here’s another video on how Tesla approaches car safety …. worth the watch! WHEN WAS THE LAST TIME YOU HEARD OF ANY ONE OF THE ABOVE CASES? Tesla wins hands down, every time !